The Cutmaster® 60i with SL60QD™ 1Torch® is the perfect combination of end-user insight, advanced technology, and intelligent design. Packed with power and offering the highest power-to-weight ratio in its class, the Cutmaster 60i with SL60QD 1Torch also has best in class cutting arc length and the most empowering and engaging user experience no matter the application. Cutmaster MechPak is also available for easy integration into semi-automatic cutting processes. 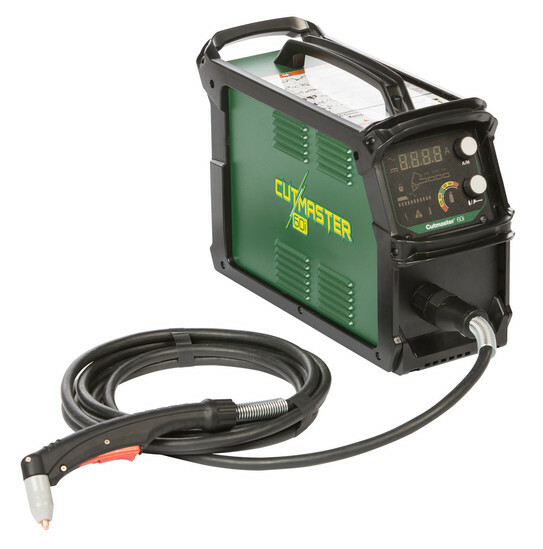 Packages Include: Cutmaster 60i power supply, SL60QD 75° torch with lead, 6.1 m (20 ft) work lead with ground clamp, spare parts kit, operating manual, and filter wrench.